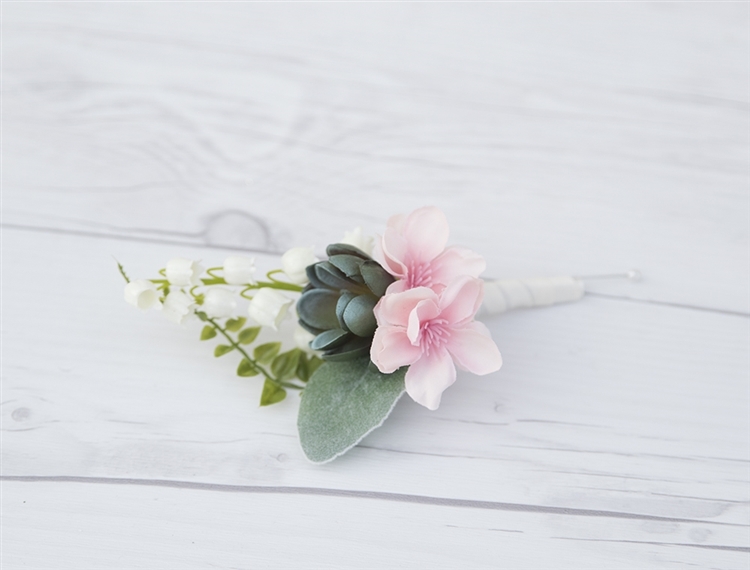 Perfect Succulent Rustic Boho Chic Boutonniere. This boutonniere is made with a Succulent, Lamb's Ear and Spring Green and a Color Accent. 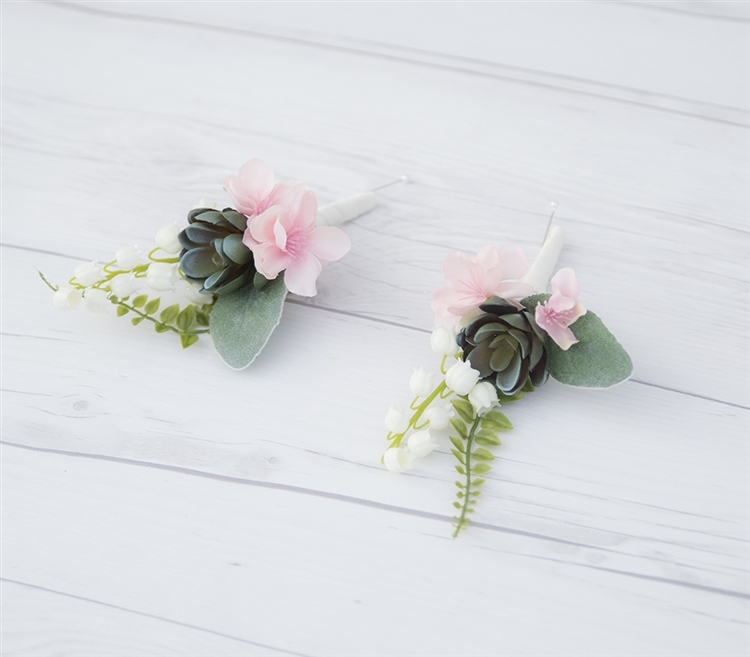 Shown is Blush in first style, 2nd Style has Pink with Lilies of the Valley added. Natural Touch Calla Lily and Brooch Jewel Boutonniere: ANY COLOR! Natural Touch Simple Calla Lily Boutonniere: ANY COLOR! REAL Small Seashells and Starfish Beach Boutonniere - YOUR Color Ribbon Color! Natural Touch Calla Lily and Rose Boutonniere: ANY COLOR! REAL Starfish and Shell Hydrangea Beach Boutonniere - YOUR Color Ribbon Color! 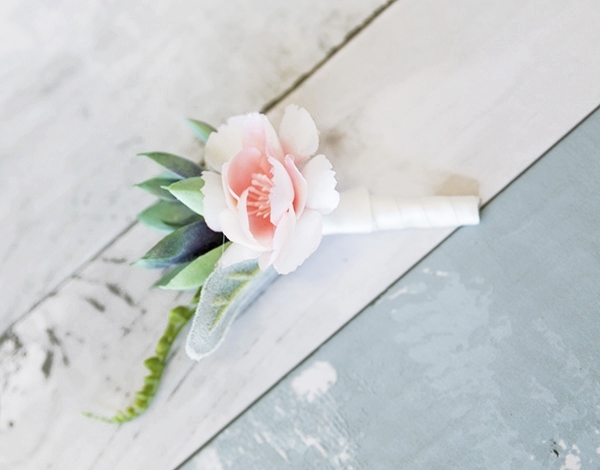 Ranunculus Silk Wedding Peony Boutonniere: Your COLOR! 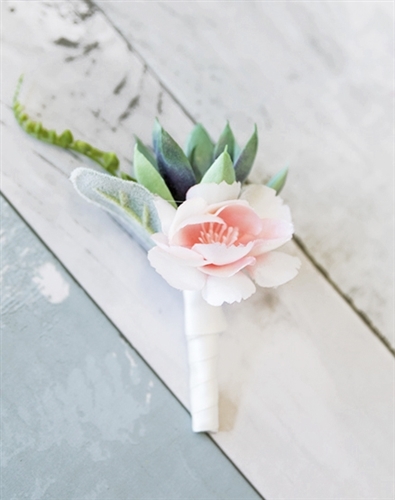 Natural Touch Calla Lily and Seashell Beach Boutonniere: ANY COLOR! REAL Shell and Starfish Beach Boutonniere - YOUR Color Ribbon Color!